Pilgrim Girl Cardboard Cutout Standup Prop - Dino Rentos Studios, INC. 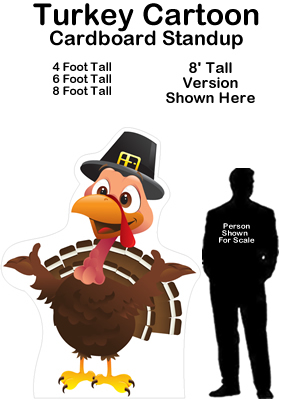 Celebrate Thanksgiving with this adorable standup prop. Perfect for any Thanksgiving themed get-together or event! This little girl pilgrim cutout measures 3.5' tall (42") and 18" wide.